What happens when a group of school students try to stop a fish from going extinct? 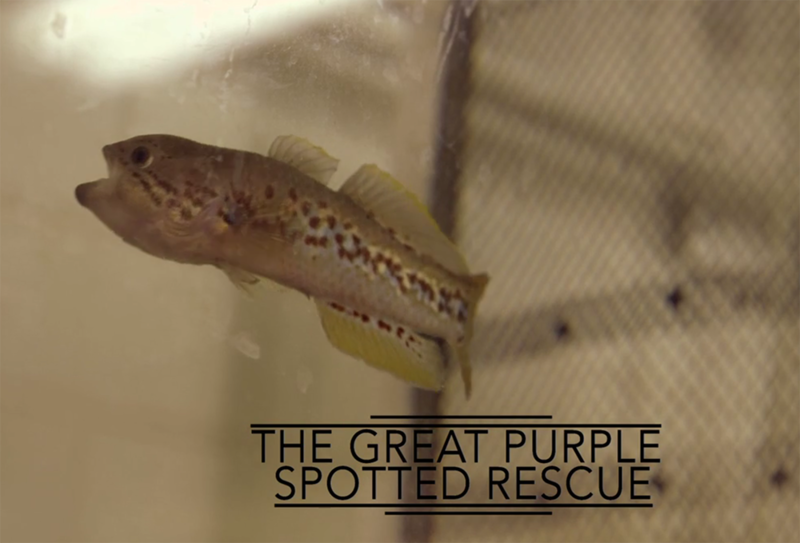 We decided to find out, in our short documentary ‘The Great Purple Spotted Rescue’, which tells the story of a passionate group of children from Alberton Primary School who are involved in saving the Purple Spotted Gudeon – a small fish, once believed to be extinct. The film has enjoyed film festival success with a screening at the Topanga Film Festival in California, screened in New York at the Wildlife Conservation Film Festival, and came runner up for Best Film at the Short Sharp Film Festival in Coffs Harbour, NSW. The film was also shown on ABC2 as part of the Second Chance series.